I crossed over to mosaics from painting in 2002. 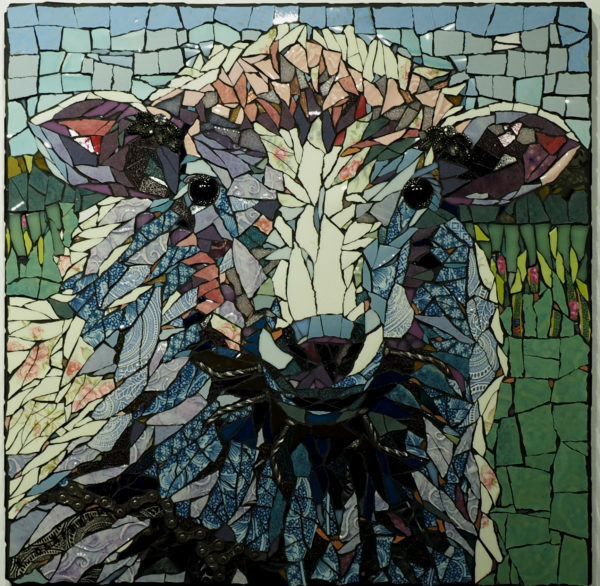 My first mosaics were frames for my paintings. Working with mixed media on both a large and small scale, I enjoy cataloging the flora and fauna of the south shore of Lake Superior. I use a wide range of materials including glass, ceramic, jewelry, and found objects such as bicycle chains, nails, and bullet casings. The search for the materials is part of my creative process. I also incorporate text in my mosaics. I create handmade tiles from clay with information, an observation, nesting habits, bird calls, poetry, and literary quotes related to the subject.